Turkish-American relations can be traced back to the end of the 18th century, between the Ottoman Empire and the U.S., shipping and trade were conducted in Turkish harbors in the Mediterranean. Diplomatic relations between the United States and Turkey were established on February 11, 1927, via an exchange of notes. The relations between the two nations continued and were extended and deepened in a fast manner especially after World War II. 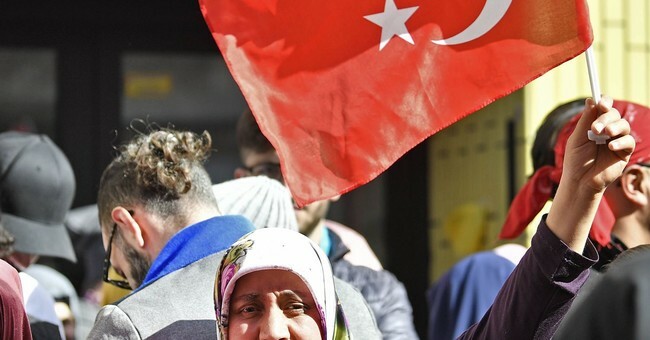 Even though the U.S. and Turkey share a deep and historical connection, unfortunately, the trade relations which built this deep relationship have been affected adversely by crises experienced lately. Following President Trump`s approval on doubling tariffs on steel and aluminum purchased from Turkey, it didn’t take long for Turkey to respond in its manner by also imposing tariffs on U.S. goods. President Trump’s use of trade issues as a tool to achieve political goals has become one of the main obstacles in the improvement of U.S.-Turkey economic cooperation. For instance, a very remarkable decline of 56% occurred in steel export from Turkey to the U.S. in the past couple of months. These type of sanctions which prevent any improvements in mutual trade are neither good for Turkey, nor the U.S. Turkey has taken this issue to the World Trade Organization citing the additional customs taxes. It is not right to use economic sanctions as a weapon to achieve other goals. Pastor Brunson's release is an important step for U.S.-Turkey relationship and it will clear the air in bilateral ties including trade. We need to keep in mind that Turkey is a regional hub for American businesses that manage operations in more than 125 countries across Southeastern Europe, Middle East, Africa, Central Asia, and the Caucasus—all administered from their offices in Istanbul. There are 1,900 U.S. firms in Turkey that employ 90,000 workers. In the last decade, these companies invested directly about $11.3 billion into Turkey. Currently, the investment of Turkish companies in the United States is over $4.6 billion. It is also worthy of note that according to AmCham Turkey, the current investment value exceeded $50 billion. The trade volume between the two countries is almost $20 billion. The trade volume between the U.S. and Turkey was $19.8 billion in 2017, far from the potential of both nations. As of 2017, U.S. exports to Turkey were $12.1 billion while Turkish exports to the U.S. were $8.6 billion, the U.S. remains the third biggest investor in Turkey. The Turkish economy growth forecast for 2018 was 3.8%, and Turkish Finance and Treasury Minister Albayrak has recently announced the New Economic Program (NEP), designed and planned for an economically powerful Turkey; focusing on economic balancing, fiscal discipline, and transformation in manufacturing and exports. The success of the New Economic Program will benefit not only Turkey and its citizens, but the allies and American companies, as well as the global market. An economically powerful Turkey is crucial for both regional and global factors. It is imperative for Turkey to return to its old days of cooperation with the U.S. and EU, in a changing world this is achieved through innovation, with new economic solution applied. Sanctions and tariffs will not enhance the cooperation, mutual trade in which all parties gain value, will. A weak and destabilized Turkey will be a catastrophe not just for the citizens of Turkey but Europe, NATO, and the U.S. It is essential for both Washington and Ankara to be able to engage in honest but respectful discussions with each other even in the face of disagreements or concerns.